MTV India’s very popular and much appreciated music show that brings together independent artists from varied music genres, Coke Studio, celebrated 1.5million fans on its Facebook Fan Page last week. There is so much to like about this Facebook Fan Page, which is a treat for music lovers. It brings together video snippets from the show, soulful lyric posts, artist profiles and event updates with occasional puzzles and polls. The posts are prolific, but not spammy and the content is top notch. I especially like the Coke branded simple topical image posts. 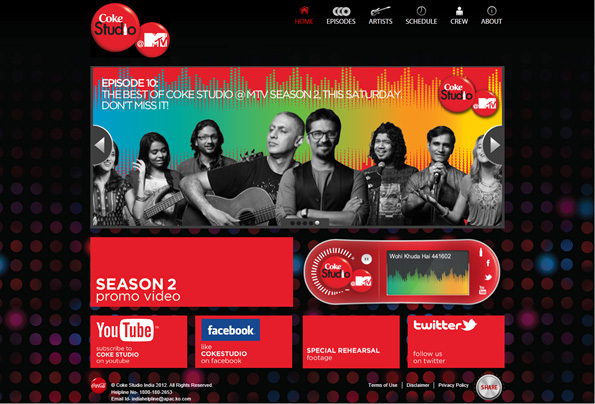 The Coke Studio Radio (also available on the Official Channel) is a great music widget that plays out songs and provides links to all social media assets for the TV show. 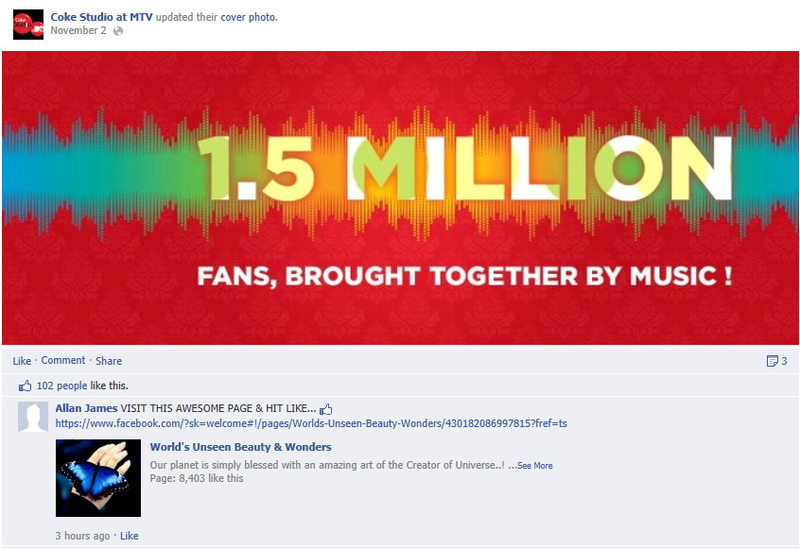 In addition to the Facebook page, Coke Studio has a roaring presence across digital platforms. There is a Twitter handle, a Youtube Channel, an MTV India integration and the compact and well laid out Official Channel that efficiently brings together all resources on the landing page. Check these out and let me know if you like them as much as I do.